Dan Weiss, Founder and President of Adatasol, has a B.A. in Psychology from Boston University. He is a Certified FileMaker Developer and he considers himself a FileMaker “generalist” — experienced in just about everything FileMaker related. He has been with FileMaker since the beginning. Prior to his work with FileMaker, Dan did Apple IT and computer work when he started his first company, which was originally called “Buddy Systems.” Dan has a vision for building Adatasol and works tirelessly to find the right systems, people, values, technologies, and energy to build the best business that makes the most positive impact for those around him, his clients, and all the stakeholders involved. Within the last few years, Dan has gone through the Goldman Sachs 10,000 Small Business program, which is a mini MBA for business owners; the Entrepreneurs Organization Accelerator (EOA) program which expands on the Goldman program with more in depth ways to build your business; and Entrepreneurs Operating System (eOS) to get all the process and systems built to be able to scale up the business going forward. Dan is on the boards of Goldman-Sachs 10,000 Small Business Cleveland, Entrepreneurs Organization Accelerator, and Learning About Business, an entrepreneurial program for high schoolers teaching them business concepts. Separately he enjoys traveling and spending time with his wife Kelly and their six teenage children. Dan is active with his kids, family, and their activities from Marching Band, football, baseball, Tae Kwon Do, and too many to name. He enjoys watching them grow and being a part of it. David Case is Adatasol’s Vice President of Software Development. He manages the developers, projects, and works closely with Dan on company strategy. David enjoys working on projects that have an impact on the people who use them, and the little things that make life easier for them so they can get their work done quicker and much more efficiently. 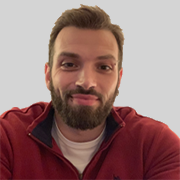 David also likes managerial reporting and business intelligence to be able to see company information at the push of a button to make quick decisions and understand best how to allocate resources. David has a B.B.A in Business Management and a minor in Economics at Hiram College. He also has a Master’s in Quantitative Finance (M.S.F.) from Case Western Reserve University. He has worked in business consulting and data analytics for over 20 years. When not working, David spends time with his family and two dogs. David enjoys reading, collecting Native American artwork, hiking in the Cleveland Metroparks, and walking the dogs all around the neighborhood. David also gives back by volunteering with various non-profits including Learning About Business, a special program that teaches high school students about business concepts. He also is active in mentoring students at his alma-maters and is a former Alumni Advisory Council Board member of both schools. Arin has over 25 years of FileMaker experience, an A.A. in Business Administration, a B.S. in Information Technology, and is currently pursing an MBA. She started a consulting company in 2003 called Mobile Mac Help (providing in-home and onsite Apple Certified Support and Training to individuals and small businesses) and also Datavast Technologies in 2007 (building database systems and websites for small businesses). Other professional experience includes project management, desktop publishing, network administration, and technical writing. Arin is also a U.S. Navy veteran, having served one tour during the Desert Storm Era as a Weapons Tech in Guam, M.I., San Diego CA, and Virginia Beach VA. After leaving the military at 22, she attended travel school and spent 3 years as a travel specialist for several agencies and suba diving resorts in the Caymans and Honduras. Outside of Adatasol, Arin volunteers as webmaster for Connecting Hearts Ministry, an organization which supports the sponsorship of children in Guatemala. Arin is also a singer/songwriter, plays guitar, enjoys Scrabble, reading, live music, camping and spending time with her dogs. E.J. has been a PHP and Certified FileMaker developer for over 10 years. In addition, he is also a certified secondary education teacher, and volunteers his time at the local high school teaching classes and training teachers. He enjoys reading, running, photography, listening to music, playing guitar, and traveling the world with his wife. E.J. and his wife moved overseas in 2011 to Turkey, and currently live in Naples, Italy. They love to travel and explore every chance they get, and have visited several different countries in both Europe and Asia. They spend their weekends taking road trips around to different parts of Italy. David was born and raised in Cincinnati Ohio. He has been doing FileMaker and Web Development for a little over 11 years now. David attended Hocking College and ITT Tech University for Web Development/Software and E-Commerce. David is also a musician and singer/songwriter and has been writing his own music and playing in bands in Cincinnati since he was 15. David loves traveling throughout the United States hitting the National Parks that he has not yet checked off of his bucket list. In the development world, he loves working on TourTools Online and web integrations with FileMaker software. 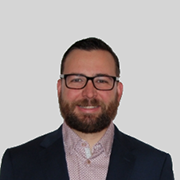 David’s knowledge of web development as well as FileMaker development and scripting allows him to create innovative and purposeful solutions for clients. Paula has been developing in FileMaker for a little more than 20 years and has worked in all versions from 3.0 forward. Her former roles have included web developer and IT manager and she is very proud to be a part of the wonderful Adatasol/TourTools team. Prior to working in IT, Paula had 8 years of experience as a leisure travel agent and a corporate on-site travel manager at a fortune 500 company. Paula is bilingual in English and Spanish and has had the opportunity to live and travel abroad. She still loves to travel whenever she gets the chance to do so, and is always dreaming about her next travel adventure with her husband and 4 children. When Paula is not working or traveling, you can find her on the ice, figure skating as an official member of the USFSA. Although Paula entered this sport very late in life, she hopes to compete in the near future. Tatiane has an A.A. in Computer Science and Web Design and Development. She was born in Brazil and moved to the US 11 years ago. 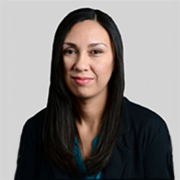 In her free time, Tatiane enjoys watching movies, listening to music, cooking, and playing games with her kids. She also volunteers for the Girls Who Code Program in the local library. Tatiane’s family loves to travel and exploring new places. They try to go back to Brazil as often as they can, but they also try to plan trips to places they’ve never been to before. Lynne serves as lead trainer for TourTools®. 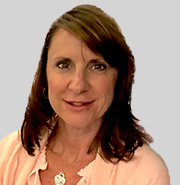 With more than 30 years in the group travel industry, Lynne served as Vice President of Operations for a large Grand Rapids, Michigan based European tour operator, and became an end-user of TourTools® while working in offices in Houston, Texas; and Columbus, Ohio. During that time, Lynne was involved in the selection, installation and implementation of several reservation and network systems; and spent a great deal of time on staff training, troubleshooting and problem solving. 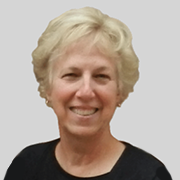 For 10 years, Lynne worked in tech support and training for TourTech Systems, Inc. This combination of travel industry experience and technical knowledge brings a unique perspective to her work with the TourTools® clients. Not surprisingly, Lynne has traveled extensively in the US and abroad. Her favorite destinations are those with historical significance, and – being a huge fan of Frank Lloyd Wright – she loves to visit sites designed by the famed architect. After returning from active duty in the U.S. Navy, Ward began an extensive career at Union Pacific Railroad. In the operating department he served as manager, train operations, field systems implementation and training, and rail yard operations coordinator. In the Information Technologies department, he served as systems development project leader, assistant manager in the technology call center help desk, and manager of yard systems development. Then, in a senior leadership position in IT, he directed systems development and support of operating department systems, financial systems, marketing and sales systems and coordination of the merger of the IT departments of several major railroads. While serving in these roles, he represented Union Pacific at the Association of American Railroads in Washington D.C.
After retiring from the railroad, he and his wife Kathy began Fontenelle Tours providing Omaha, NE area residents with leisure travel experiences. For a little over 10 years they have offered one-day and multiple-day trips and have traveled to most every destination in the United States with their traveling friends. They determined early on that they needed a solid software system to manage their business. TourTools has been an integral part of their successful operation. When not working, both Ward and Kathy are involved in providing travel experiences for those challenged with blindness. His hobbies include golf, reading, spending time with family, and as one of his granddaughters has stated, “fixing things”. 2017 © TourTools by Adatasol, Inc. | Package Tour & Travel Management Software. All rights reserved.